What’s the price of gambling? Is it worth your life for the sake of chance? A few bucks to get along the way? The thrill of winning and losing it all in an instant? It’s weird because there are so many reasons as to why people gamble. Betting has always been a thing that human beings have enjoyed doing. Spirited competitions that are ‘made interesting’ when wages are involved. The game of chance is enticing, and knowing the risks, some are numb to it and get in over their heads before they can dig themselves out of a damning hole. 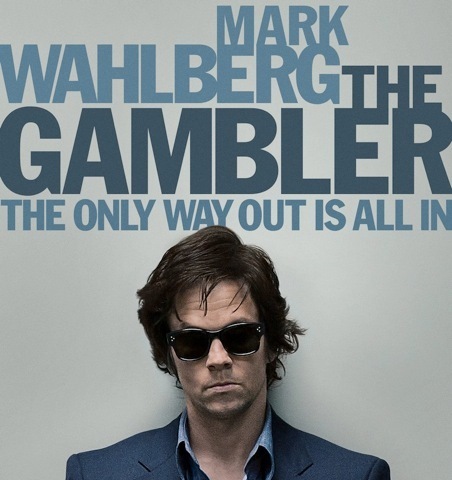 That is the case for Mark Wahlberg in this movie, as it reflects the mentalities of a lot of people who struggle with gambling without realizing the consequences of his actions. Jim Bennett (Wahlberg) comes from a family of wealth, and lives a half-life of being a gambler and a college professor. Being that he was already in debt, the thrill of chance takes to him and the only way of getting out of his debts is to keep gambling and hope for a better result. It was interesting to see him as someone who would risk everything, knowing that luck doesn’t always work in his favour, continue to get involved with people that wouldn’t mind tearing down his entire life to be repaid (which is essentially the premise of the story). In any instance, whenever there is a disease, there’s often a remedy that comes along to cure it. In this case, that realization comes from a student of his, and when you find something or someone to counteract your flaws, it can help balance you out.